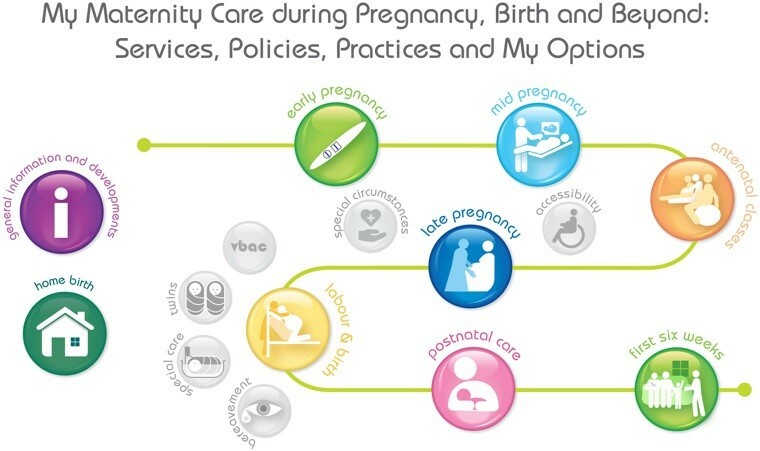 The Consumer Guide to the Maternity Services in Ireland is based on comprehensive surveys of all the maternity care providers in the Republic of Ireland, conducted by Cuidiú in 2016-17. If I want one, when can I expect my first scan? If I had a medical condition in this pregnancy, how would it affect my labour and birth? Will I be shown how to care for my baby while I'm staying in the postnatal ward? …. and answers to many more questions you may have about the maternity services available to you in Ireland. There is a link to Antenatal Ireland in the guide. Antenatal Ireland is the group of professionally trained, Cuidiú-registered antenatal teachers who work to the Cuidiú ethos and are available nationwide delivering high-quality antenatal education with informed decision making at the core.